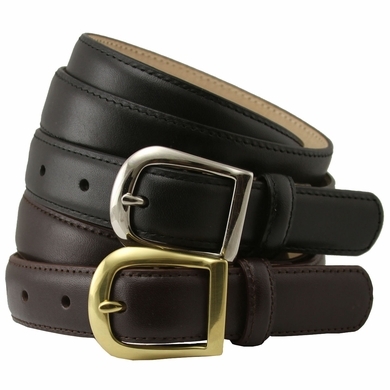 Women's Italian Calfskin Leather Dress Belt. Available in two colors: Black with Silver, and Brown with Brass. 1" wide. Size measured from buckle end to center hole at tip end.